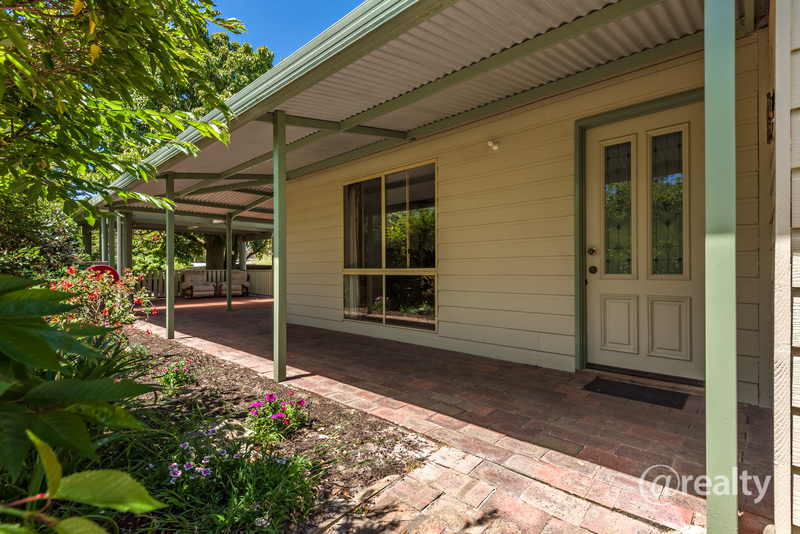 Welcome to 85-87 Beech Road, the perfect family home for anyone wanting to move to Narrikup – and a rare find. 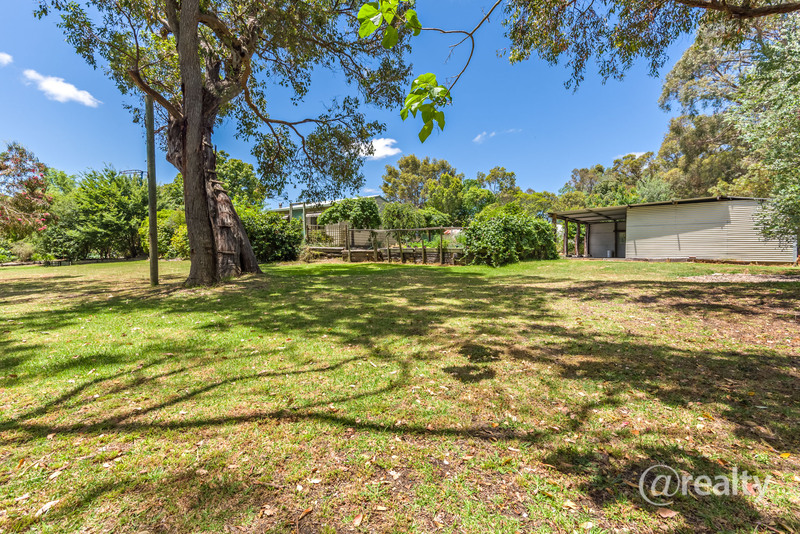 Many things make this property stand out from the rest; one of the winning features is that the home is a multi-title – meaning you get a 1,619m2 block with a lovely 3x1 home, shed and all the extras, as well as the second 1,619m2 block next door. 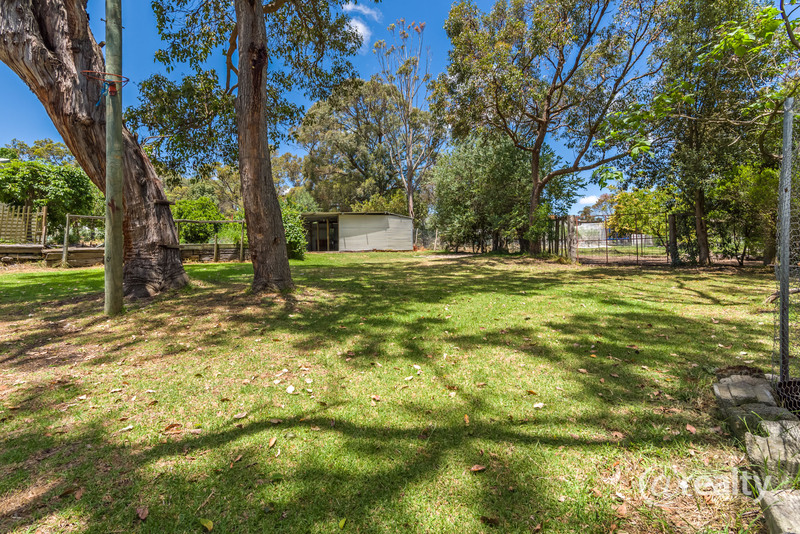 The second block is grassed and well shaded by an array of large mature trees – the perfect environment for kids to build tree houses, kick the footy or tend to the chickens in the chook pen located to the back. 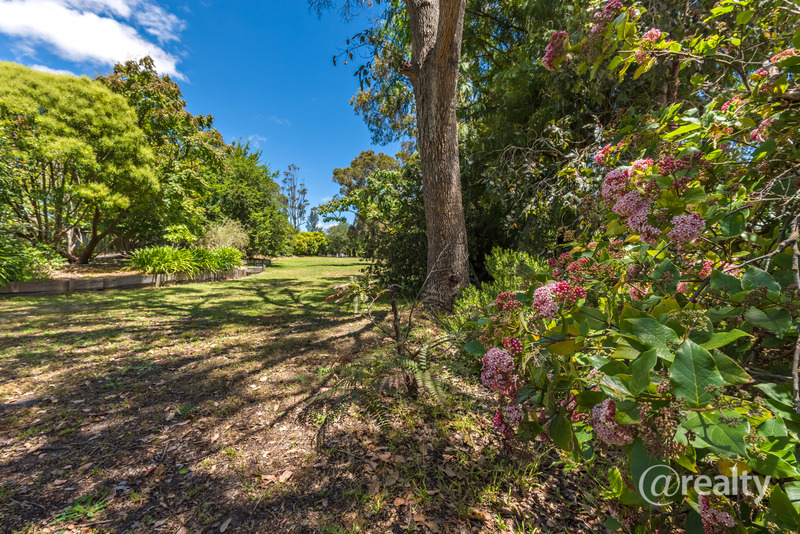 The garden has been well planned so that there is something flowering all year around – it’s like having your own private park or green oasis. 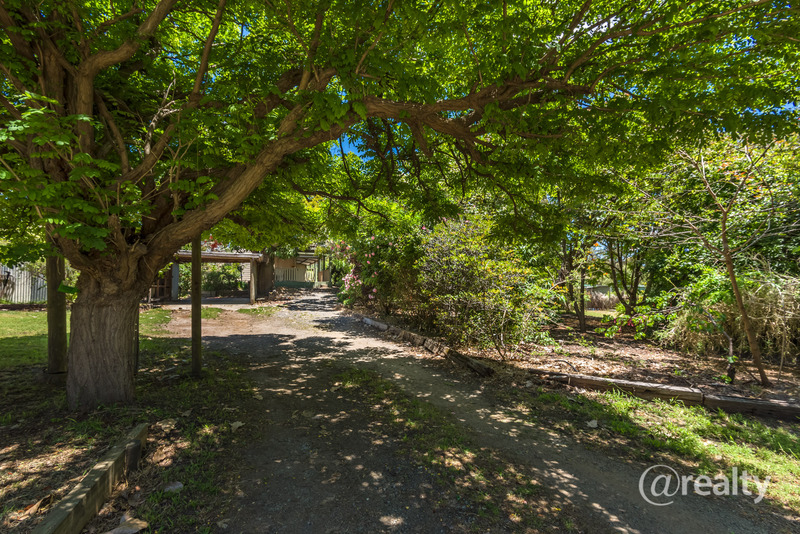 An added bonus of this block is that there is no second set of rates – $1,425.08 per year covers both addresses, totalling 3,328 m2 or 0.8 of an acre. 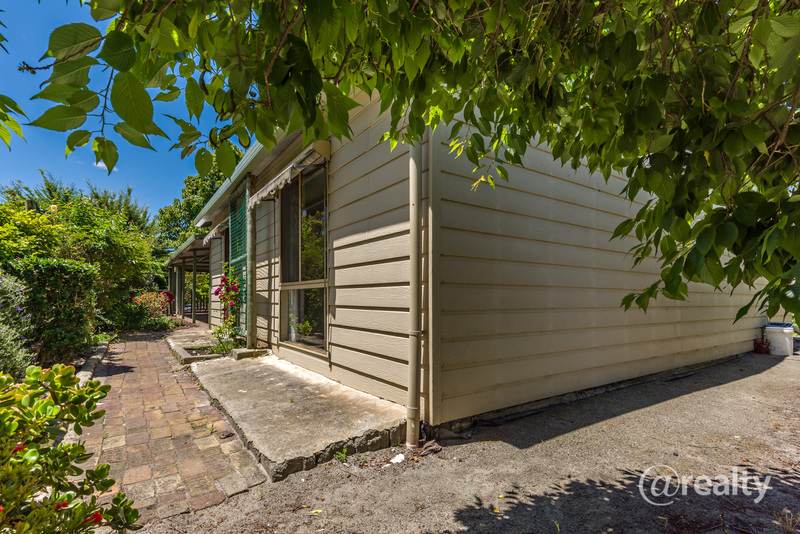 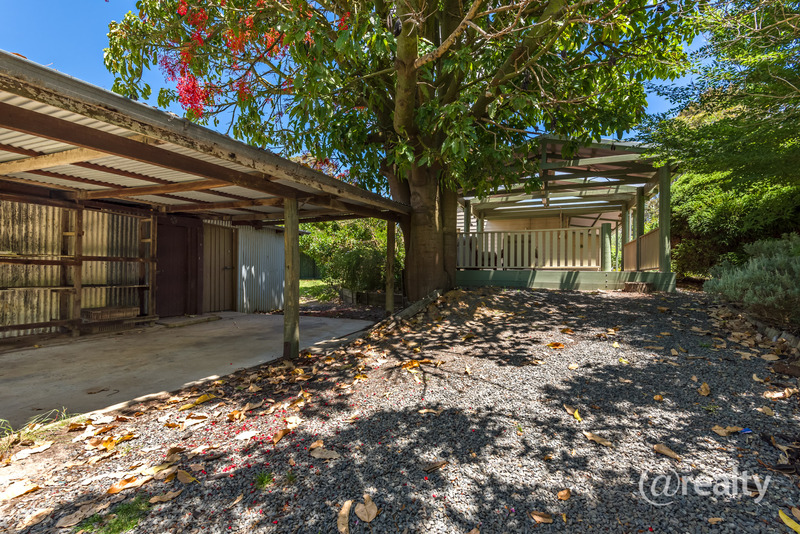 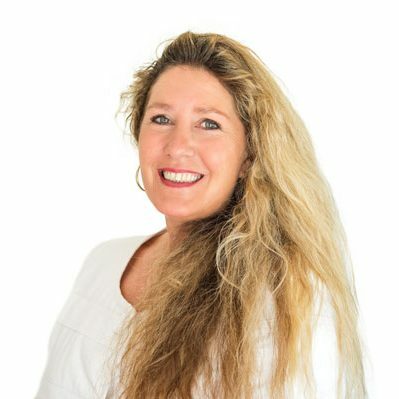 The family home is tucked in the middle of the block, with a driveway leading up which takes you past a double carport, rainwater tank and to the second carport – attached to a large shed. 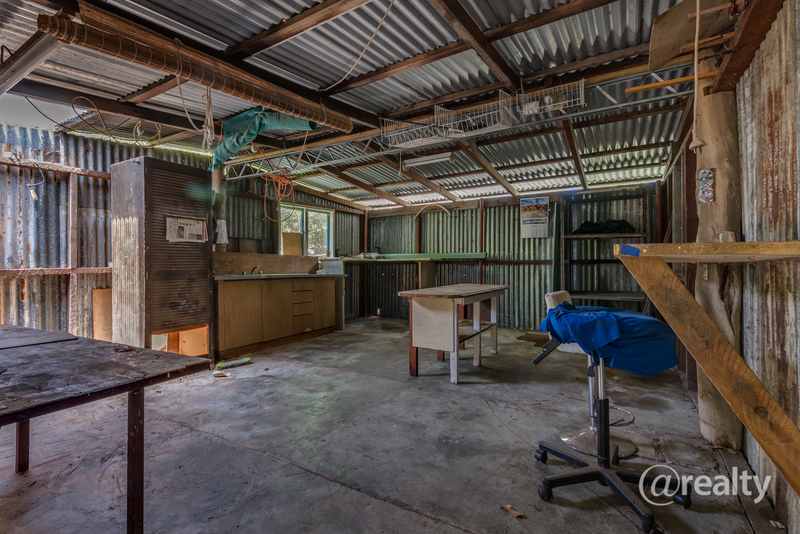 The shed is divided in two parts, firstly a large workshop complete with benches and plenty of floor space, with the second part being the studio. 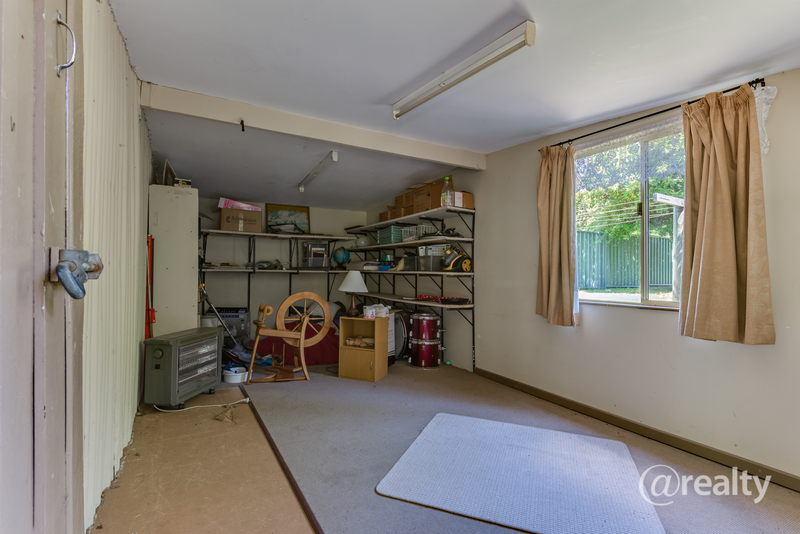 Used by the last owners as a comfortable sleep-out, the studio could easily be a fourth bedroom, an office, or a neat storage area depending on your needs. 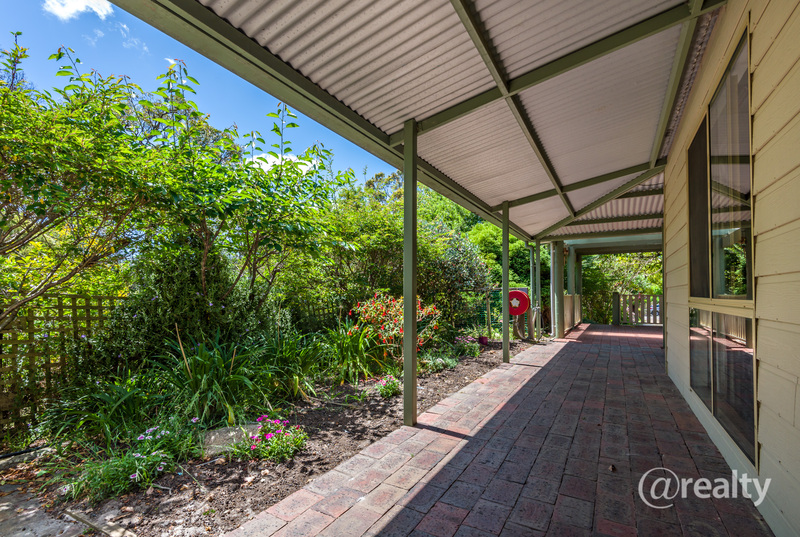 In front of the carport is a paved patio, a recent addition to the home. 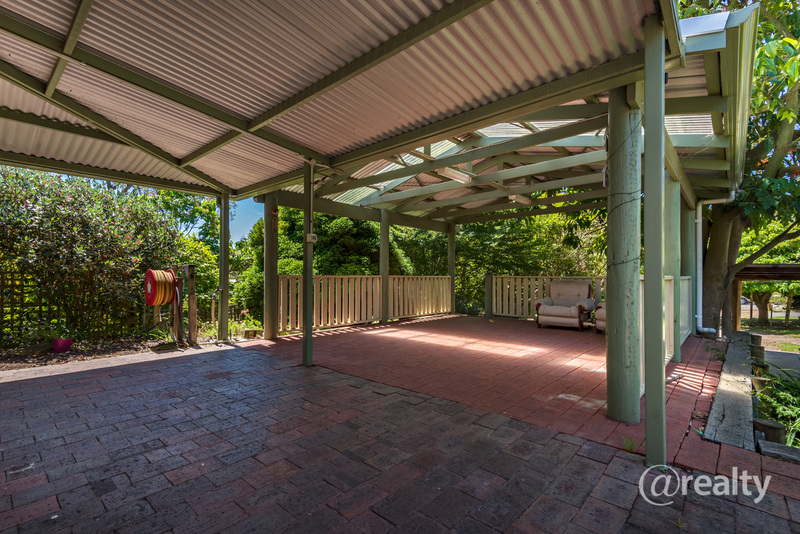 This area is a great outdoor space boasting lights and power, so it can be used day and night. 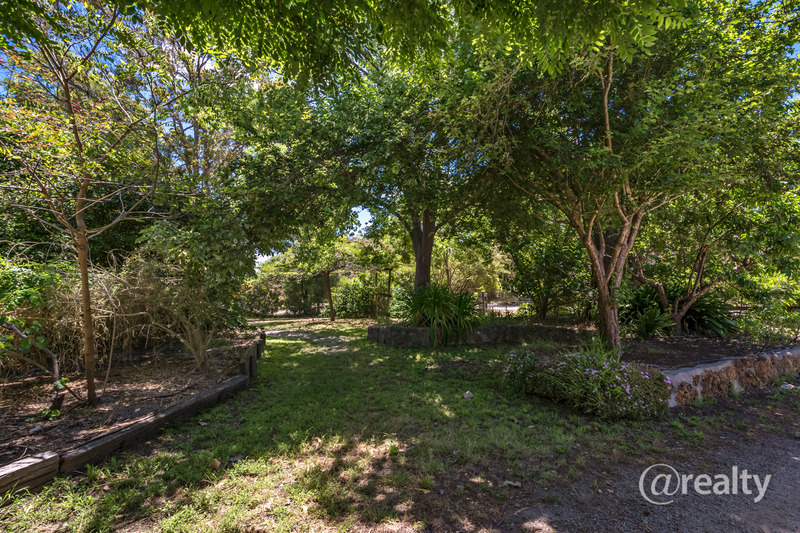 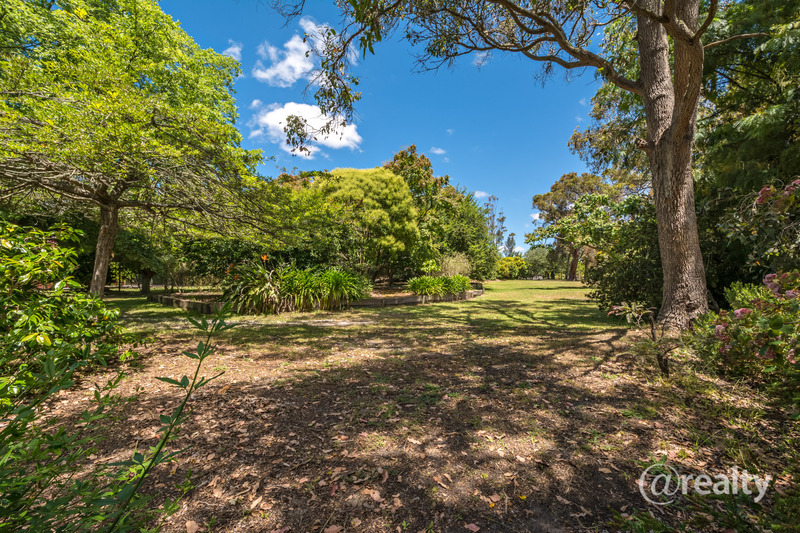 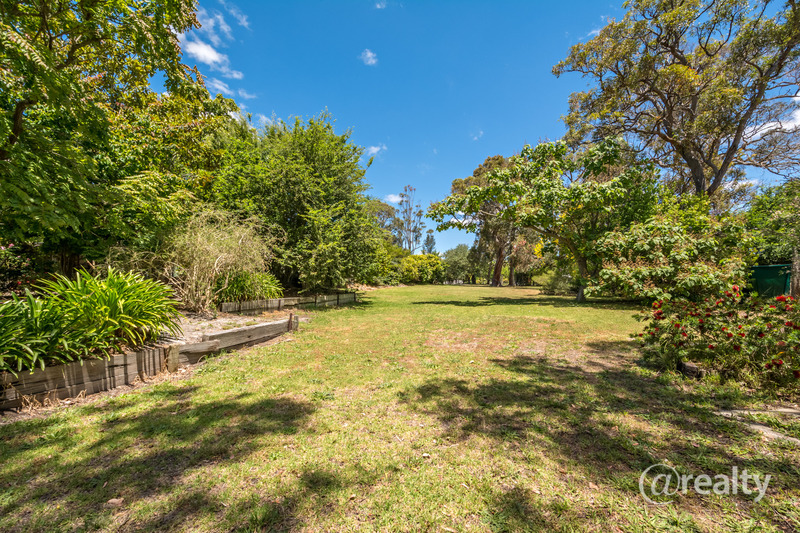 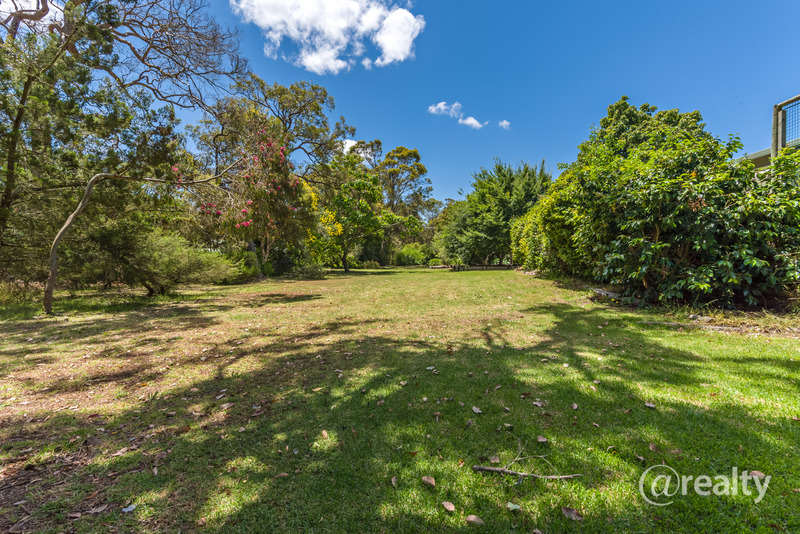 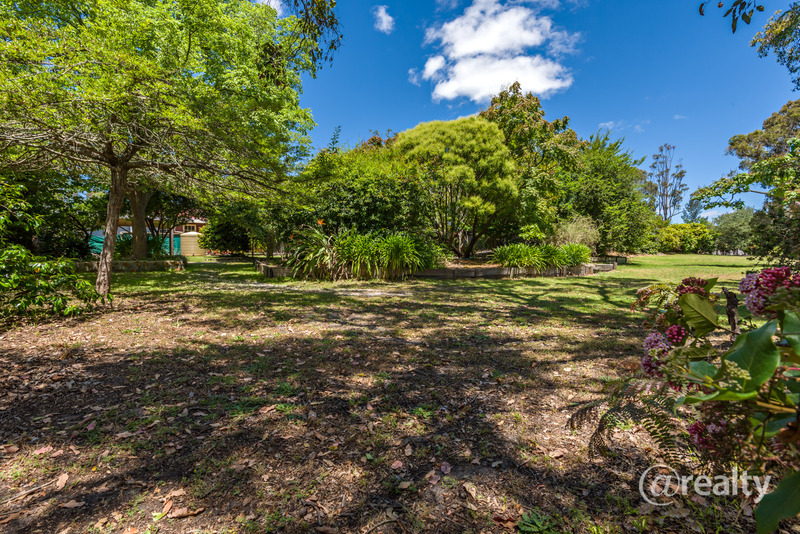 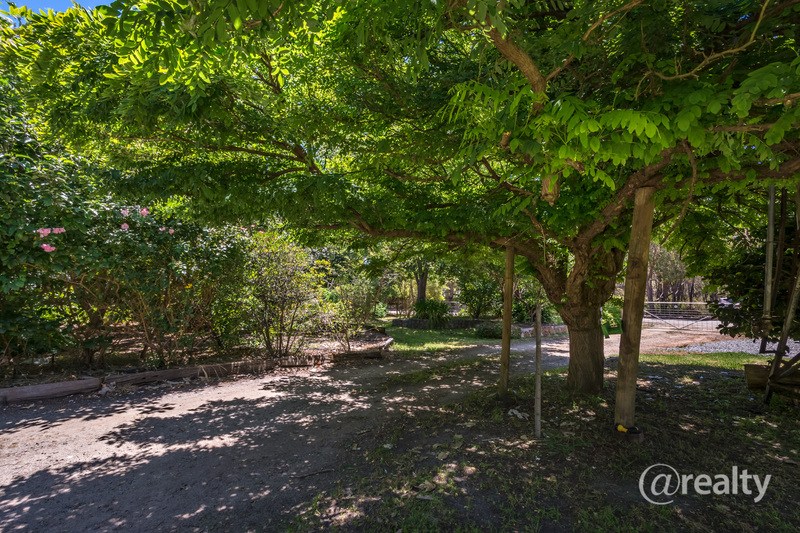 The area is a great overflow space and is ideal for family events, entertaining or just enjoying summery days in a shaded area in a lovely treed setting. 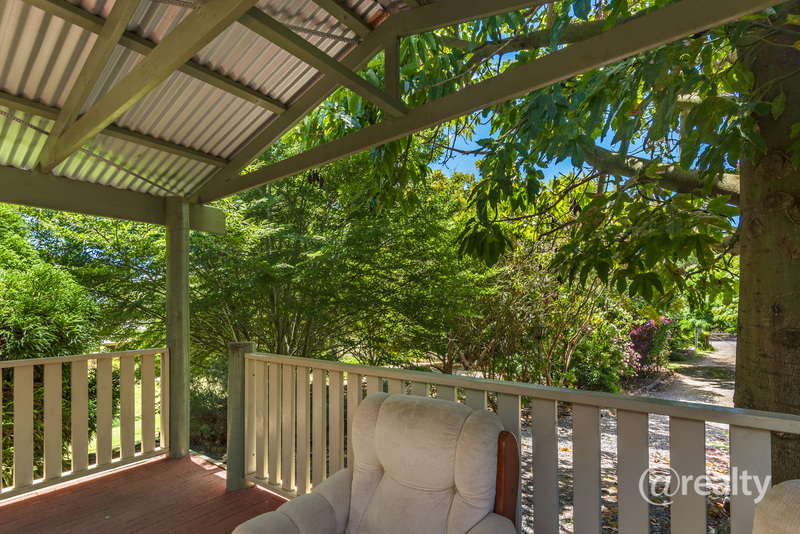 The home itself is modern and has a great floorplan, and while it’s not a huge home the open plan living and outdoor verandahs and patios make it very accommodating, even for a larger family. 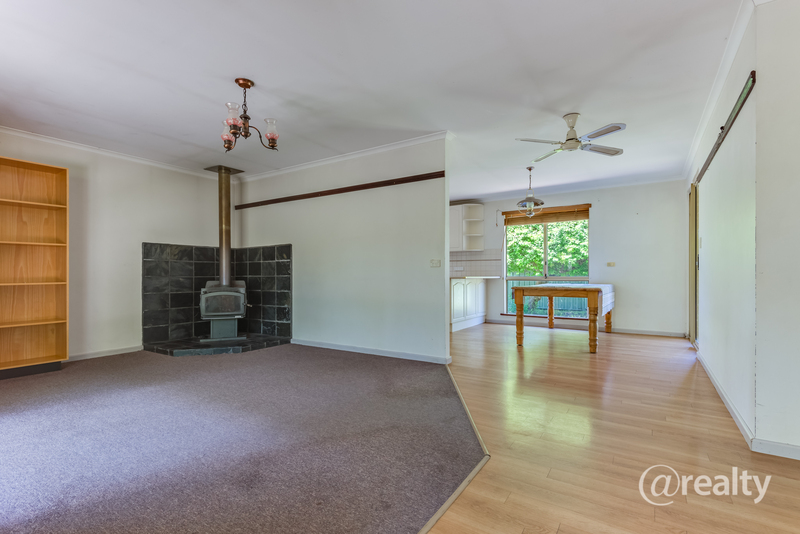 The carpeted lounge is to the left as you walk in the front door, which boasts a large tile fire for those colder winter months. 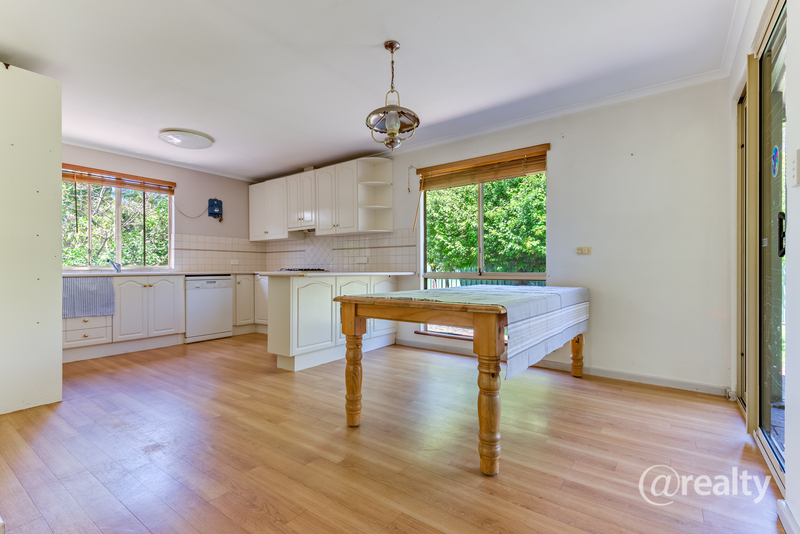 The kitchen and dining areas have wood laminate flooring. 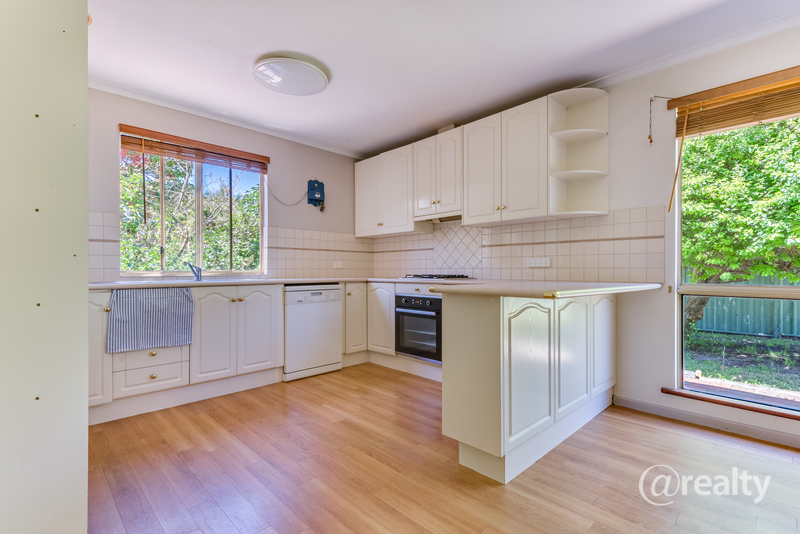 The kitchen benefits from having both below and above bench cupboard space, with a good-sized pantry and a modern electric oven, dishwasher and gas cook top. 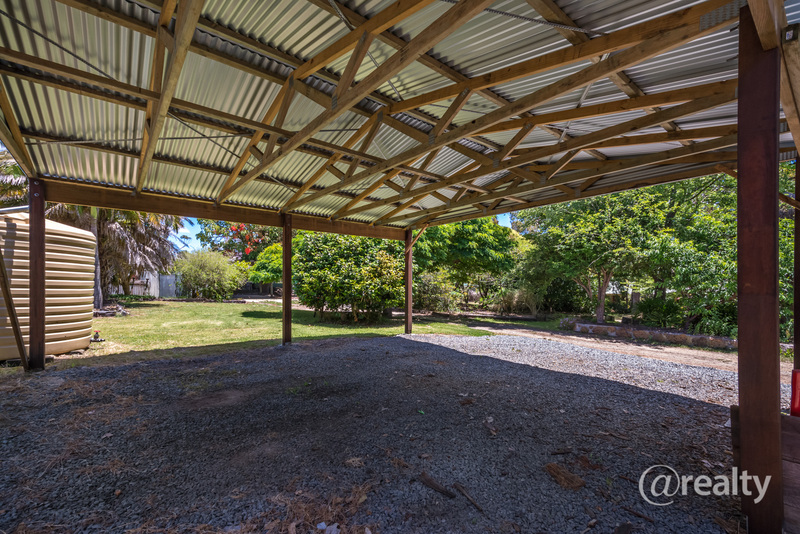 Although the home has a couple of rainwater tanks, it is on scheme water. 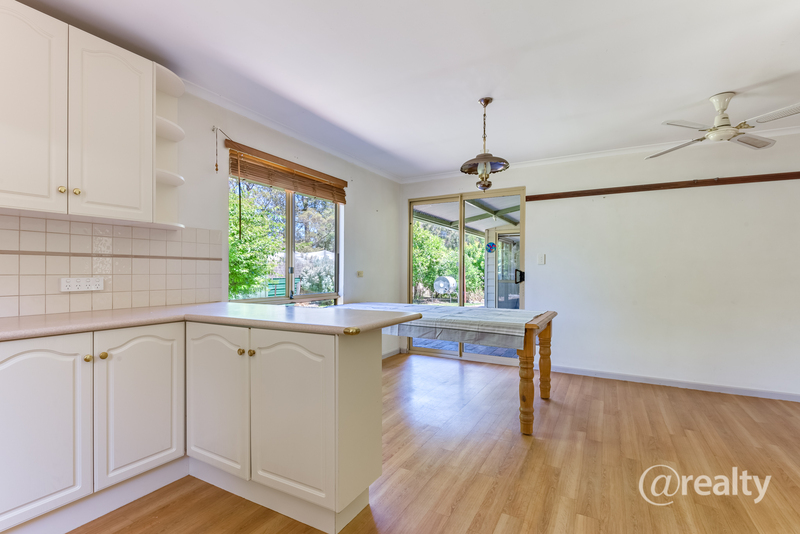 The kitchen bench doubles as a handy breakfast bar, and a double sink looks out over the mature trees by the patio. 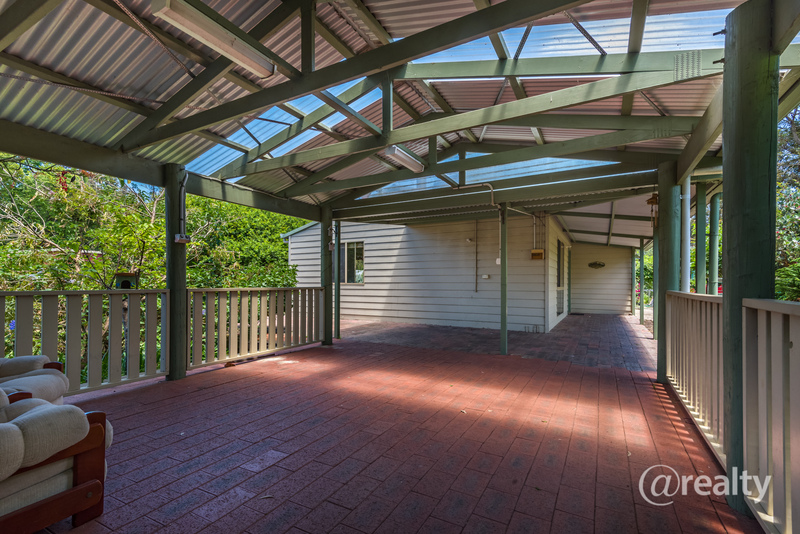 A sliding door opens from the dining area to a side verandah, featuring a lovely grassed area where the kids can play within easy view. 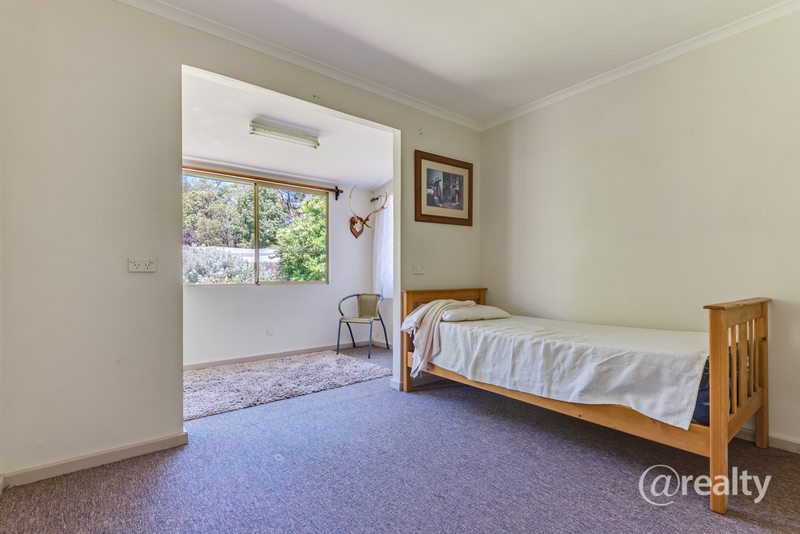 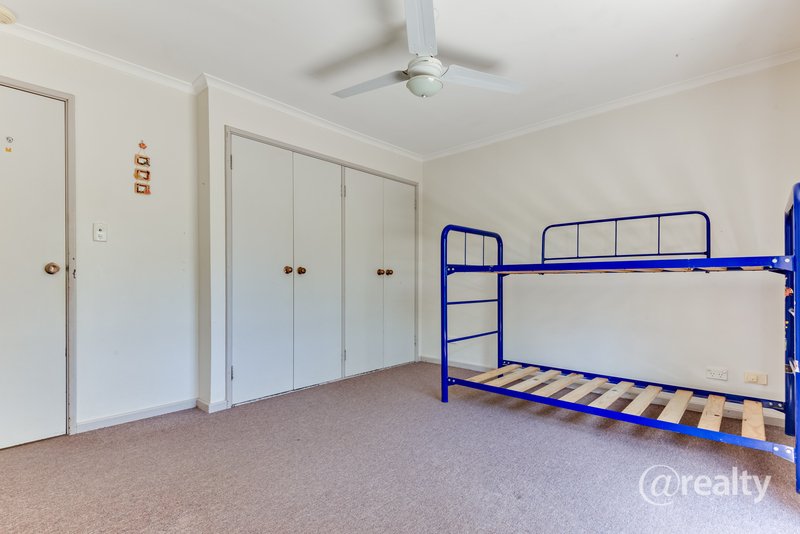 First left down the corridor will lead you to the laundry, a good-sized tiled area with a wash trough and large open laundry cupboard and direct access to the verandah and the washing line. 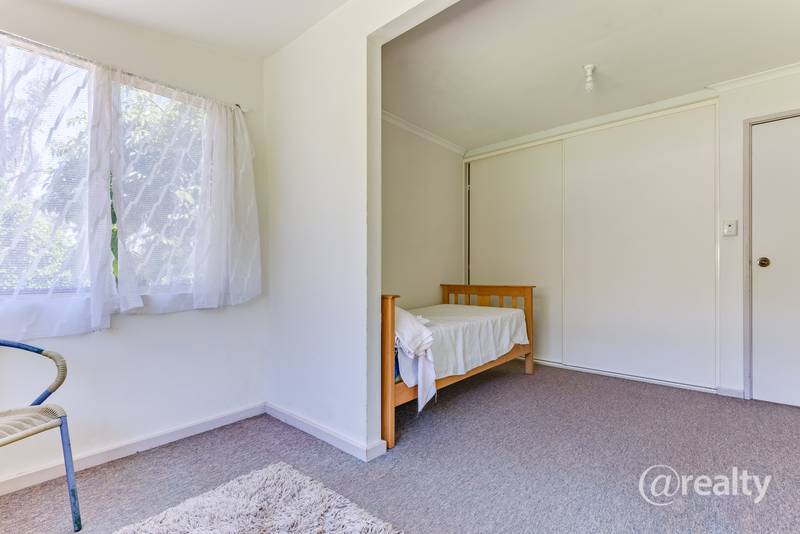 A separate toilet leads off from here. 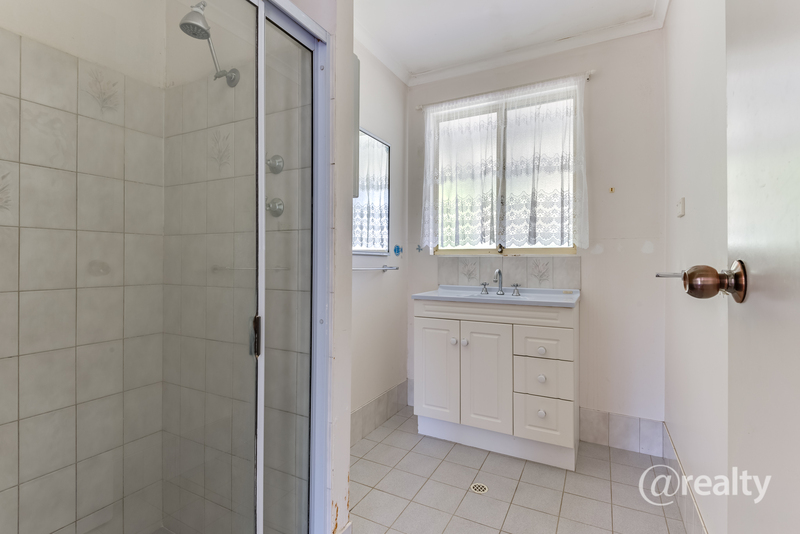 The next room over is the bathroom, which features a shower and basin, with all the mod-cons like an extractor fan, heat lamp and normal light. 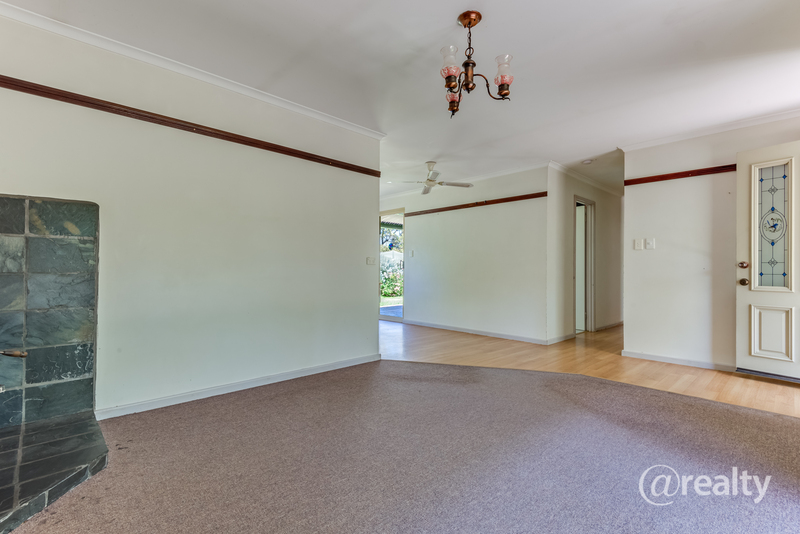 The three bedrooms make up the remainder of the home, with two to the right opposite the bathroom and the third to the left. 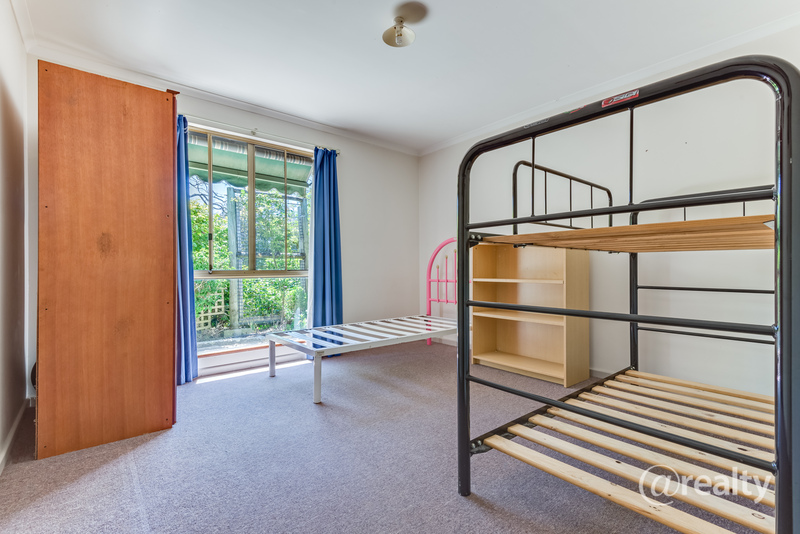 All three bedrooms are spacious, easily fitting queen sized beds with room to spare – the first bedroom has double built in robes while the second has a free standing robe. 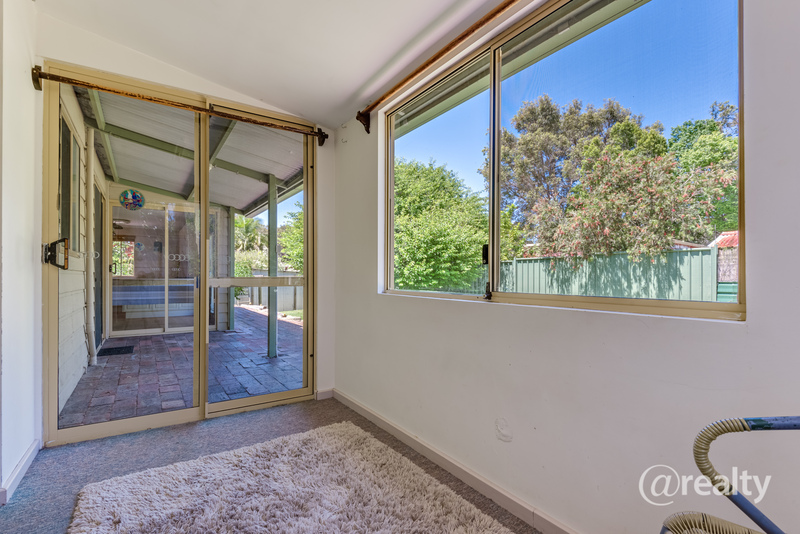 The third bedroom has built-ins again, and has also been extended – re-claiming part of the verandah in front of it to what is an ideal office or crafts space opening onto the verandah, directly opposite and in full view of the kitchen – handy for families with kids. 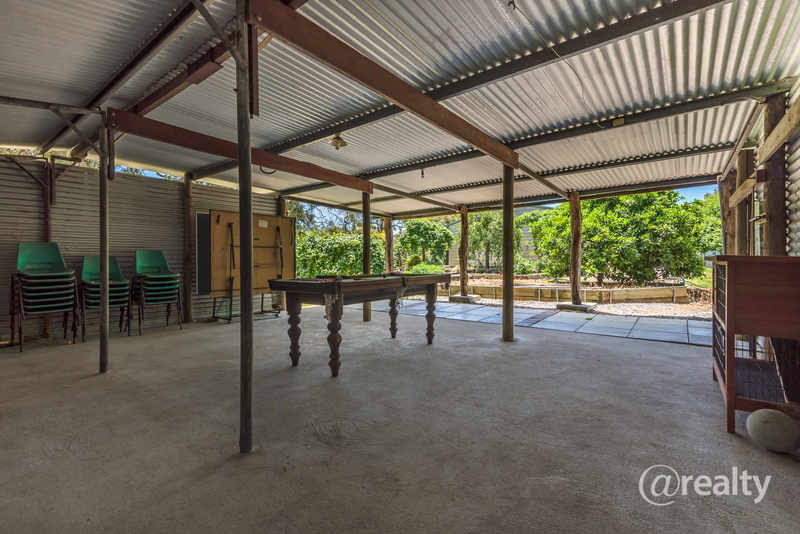 Towards the back of the block there is a spacious concreted entertainment area – ideal for teenagers to play and keep themselves busy. 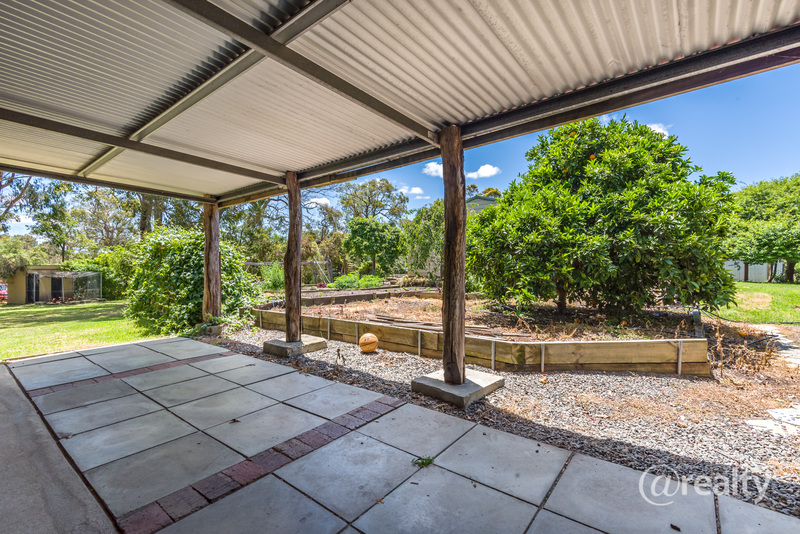 A large, thriving vegetable garden and orchard makes up the space between the home and the entertainment area. 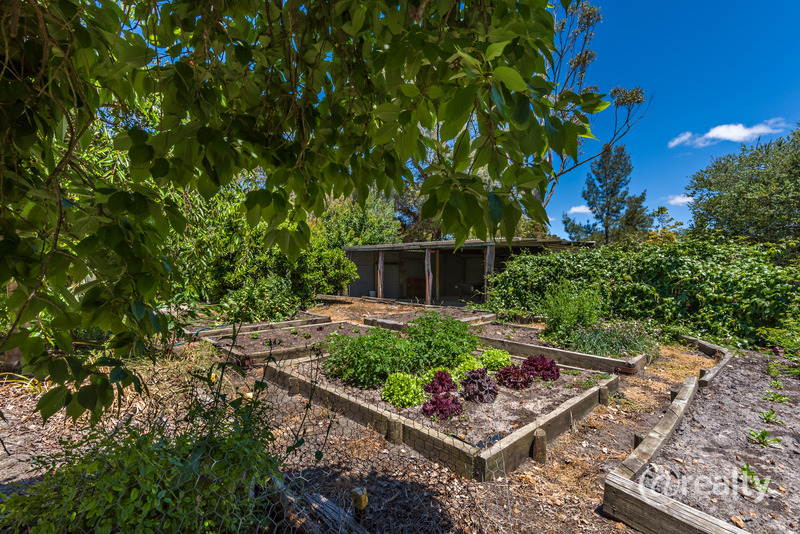 Several raised beds currently grow everything from lettuce to tomatoes. 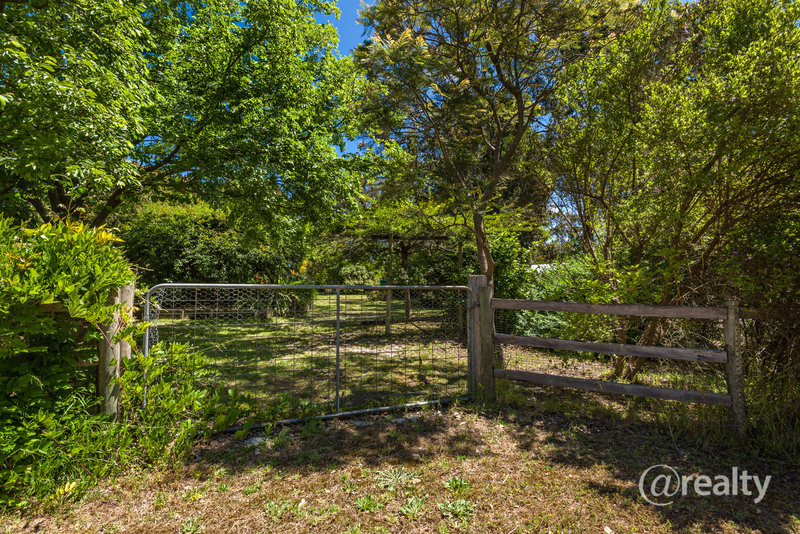 A dual access lane provides a nice buffer between this property and the neighbours behind, with a gate towards the block offering easy access for vehicles or trailers. 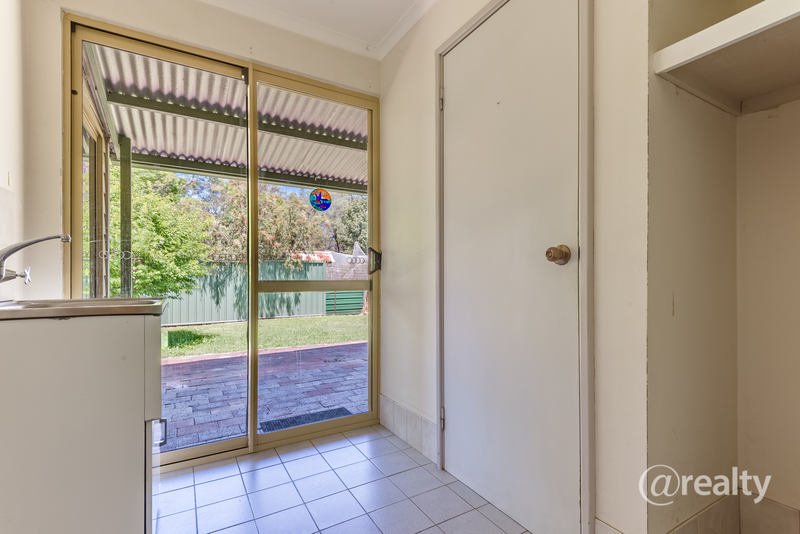 85-87 Beech Road, or better known locally as Lot 42 and 43, also benefits from being right next to the Narrikup Country Store, meaning you’re only ever a short stroll away from grabbing milk or bread – a real convenience for a busy family.